The Bungie-S Side Chair offers stylish seating for any room of your home or office. This modern chair conveniently stacks, leaving a minimal footprint when not in use. Use it at your desk, in the conference room, or anywhere seating is needed. Bungie-S Side Chair is truly versatile and gets any job done with style. 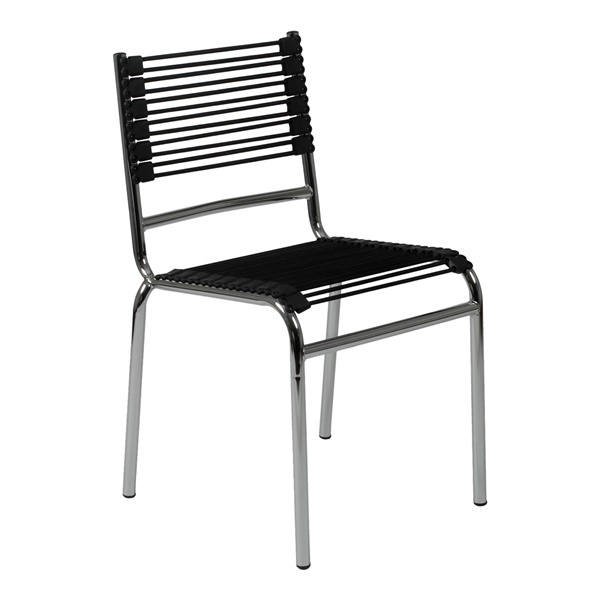 The Bungie-S Side Chair features a sleek, chromed steel frame and a back made of extra strong bungie cord loops. Its look is clean and modern, and its seat surprisingly comfortable.